If you are new to the club, or to group riding in general, you should take some time to read through the following tips and guides that may answer questions that you have, and point out things that you may not have thought of. Our rides are informal friendly rides usually navigated by one person, rather than organised events, like sportives or races, so please read the points below, and ensure that you are prepared and take responsibility for your own safety and well-being. You should have a properly checked, serviced and roadworthy cycle, suitable for road riding. If you are unsure what this means, please ask, we’ll be happy to advise. You should not come to a club run with TT/tri-bars fitted. Using tri-bars in a group is dangerous and hinders quick access to brakes and steering. Not for club runs. Keep ’em for TTs! Full length mudguards should be fitted in winter. As well as helping keep your bike clean, your club mates will be grateful when they aren’t covered with water, mud and other things that a wheel can very effectively spray. Typically, we start using mudguards when the clocks go back, and often take them off when the clocks go forward. Use common sense though. The British weather doesn’t always conform to dates! Mudguards vary in type and size, but most bikes – even tight clearance racing framesets – can be fitted with some form of full length mudguard. You should have a working pump, a couple of spare inner tubes and ideally a puncture repair kit and a couple of commonly available low cost tyre levers. You should be able to replace an inner tube. Again, if you need help here, please ask. It’s not uncommon for one of the group to get a puncture, and it’s good experience to learn how to deal with them out on the road. Small easy to carry pumps are readily available also at a low cost. A multi-tool is also useful. There are loads of great, low cost tools to purchase. 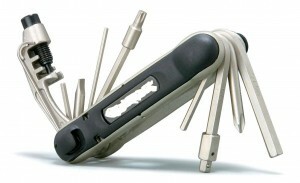 Great for tightening and adjusting if you need to, or for emergency repairs. A useful thing to carry. A spare chain link is also a useful thing to carry. 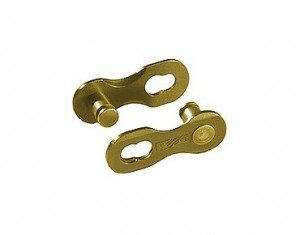 The ‘snap-link’ type of link is a great way to repair a chain to get you home. Supplied with many modern new chains. Cheap and light to carry. Mobile phone. We all have them, and they are dead useful. Most are compact enough to fit into a pocket. Best to have one in a ‘sandwich bag’ or other weather resistant cover to protect from the elements. Also a good idea to have an In-Case of Emergency (ICE) number stored on your phone. Approved helmet. Very important. Not a legal requirement, but may just save your life one day. Optionally – eye protection – as there is lots of muck on the roads to fling up in the winter, and insects in the summer (who are very good at targeting your eye as well as aiming for your mouth!). There are many good value sports specific options to choose from, at a very reasonable price. No need to spend vast amounts of money on things like this. Clothing – obviously you need to wear some. If you haven’t already bought your lycra(! ), wear close fitting legwear with some stretch – to give you freedom of movement, a good pair of trainers with the laces tied out of the way (if you don’t have cycling shoes already) comfortable top, mitts/gloves if you have them and some kind of light waterproof jacket that you can stow in a pocket or wear when the clouds open. Food and drink. It’s good to have something to drink whilst riding or when we stop for a rest/puncture/junction. Useful to have a snack with you to tide you over if you get tired, or you’re just too hungry before/after the cafe! Dinner money!! We always aim for a cafe on a Sunday run. 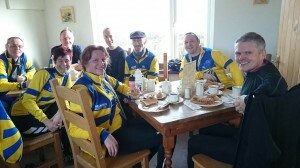 It’s great to re-fuel for the ride home with beans on toast and cake! * (*other food stuffs will be available!!). Happy cyclists? That’s not right. We should have put more hills in. 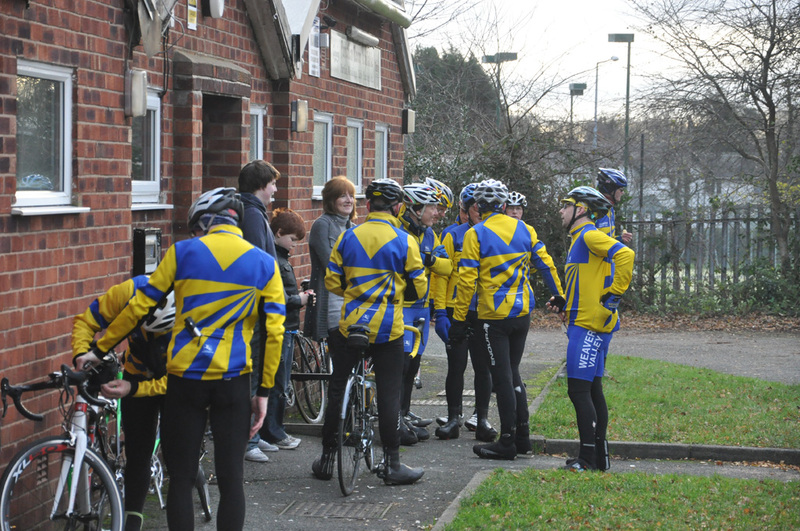 You’ll see a group of cyclists, many wearing club kit, milling around and chatting. Just grab one of us dressed in club colours, introduce yourself, and we’ll point you to our club run navigator for the day. You’ll get all the advice you need before we set off, and as you start to ride. Riders gather. Don’t be afraid to approach. We are entirely harmless. Don’t be afraid to ask lots of questions if you are unfamiliar with riding in a group. We are a friendly bunch, and you’ll get plenty of information. The ‘short’ ride will typically hover around 50 miles in terms of total distance. If you currently ride on your own or with friends, and can cover 40 miles, you’ll be fine. We always encourage those who join us for the first time to come along with this group. The ‘long’ group will typically cover at least 60 miles, often in hilly terrain, and the pace may be found to be faster (dependent upon the ability of the group). 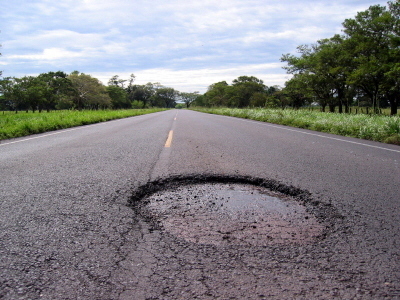 ‘Below’, or ‘hole’ – which indicate a hole in the road. This will often be accompanied by a hand signal indicating the source of danger. They’re everywhere. No fun in the car, less fun on the bike. Best to shout ’em out! ‘Out’ or ‘on the left’ usually meant that the group need to move out past an obstruction (parked car etc), or be particularly aware of a potential hazard. Of course, if we are on a cycle path or narrow road, this can apply to the right as well, so a shout of ‘on the right’ may be heard. ‘Stopping’ mean that we are stopping. Usually at a junction, traffic lights etc. At junctions you may hear ‘look left’ or ‘look right’ to warn of traffic approaching from the left or right. If you hear anyone shout ‘clear’, please ensure that you check the junction for yourself – to make sure that it is indeed safe to proceed. ‘Half a rev’ means that we’re slowing down a bit as the pace has picked up, and we’re dropping riders off the back! ‘Easy’ to slow down and be careful (horses, pedestrians, temporary traffic lights etc). If you see a hazard or something that needs highlighting to those behind who may not have seen what you have – shout it out! Plenty of things to look out for and be aware of. Keeping a safe distance from the rider in front, whilst gaining shelter. One of the fantastic things about group riding is that you get some shelter from the rider in front! Don’t get too close to his/her wheel though. Leave a gap that will allow you to react to braking or change of direction of that rider. A gap of up to a metre will still give you shelter. Ideally, you’ll position yourself around 30cm(ish) (1 foot in old money) from the rider in front. You’ll get used to the dynamic of the group, and find a ‘safe’ distance as you ride. 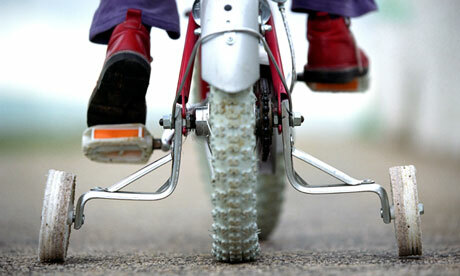 Don’t ‘half-wheel’ – overlapping the rider in front and riding too closely is dangerous. You might see this in the pro-peloton in the Tour De France. A club run is not the place for it! There is no strict ‘distance’ rule, but use your common sense, observe and ask the riders around you. Nice and tidy! A large group, each rider paying attention to the riders in front. Trying to maintain a smooth pedalling style. Where this might not matter when you are out on your own. Sudden speeding up or braking is more noticeable in a group. Be aware that there may be riders behind you, so think ahead, and keep alert as to what is going in in front of you. If you need to brake suddenly, shout it out! Looking ahead while holding a conversation! Club runs are sociable affairs, but no matter how interesting the conversation is, try to focus forward, rather than on the rider that you are chatting to! Descending at a speed that you are comfortable with. Don’t try to keep up with those who are probably more experienced than you. The group will naturally come back together as the road flattens out. Equally importantly, try not to descend like the pros! It’s great to watch on TV, but not for a club run! 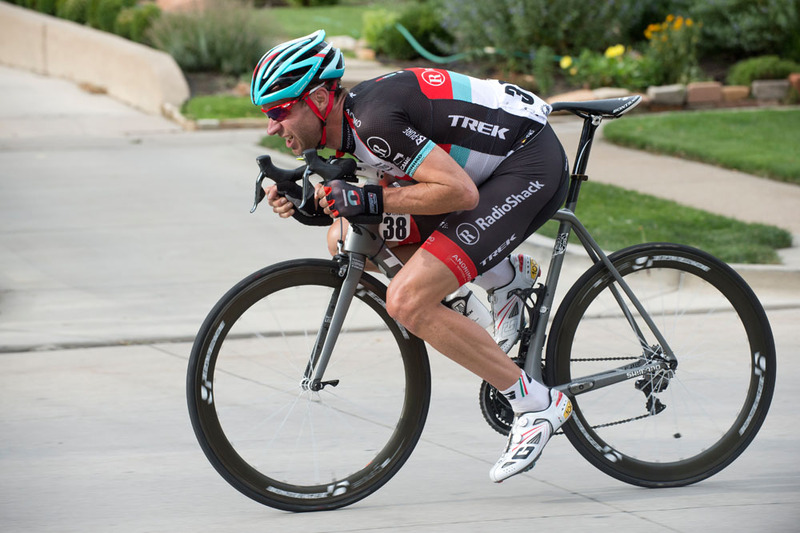 Unless your name is Jens Voigt, don’t try this on a club ride!! Climbing at your own pace. Don’t turn yourself inside out on every climb! The group will wait at convenient points on the route, and you’ll often hear instructions at the foot of climbs, instructing the group where to ‘re-group’. Everyone climbs at a different speed, and as the club run isn’t a race, we’ll wait and make sure that everyone gets to the top, and gets a chance to get their breath back. Riding no more that two abreast. There is only so much room on the road, and we share it with many other road users. Normally we’ll ride safely in the group, two abreast, not rubbing shoulders, but not in the gutter or out towards the other side of the road/centre of the road. Other road users. As noted above, we have to share the road with other road users. Be courteous, patient, and respectful of other road users. When riding with the club, poor riding and behaviour reflects badly on the club. Ensure that you also think about walkers, horse riders and car drivers whilst out on the club ride. 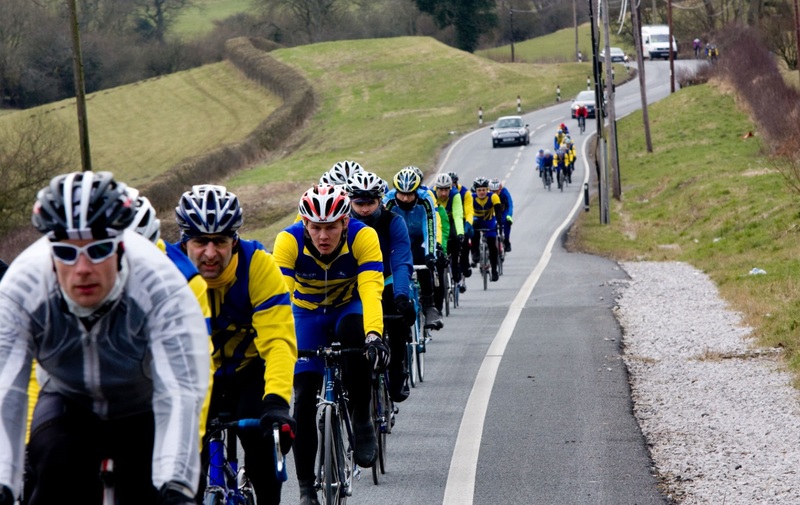 As a final note, this is a club ride, and not an organised ‘event’ like a sportive etc. You are entirely responsible for your own safety and actions. Please be mindful of this, and ensure that you take responsibility for your own actions. The above points should give you some idea of what to expect, and will also probably prompt further questions – so don’t be afraid to ask – just email any of us on the contacts page, and we’ll be happy to advise.